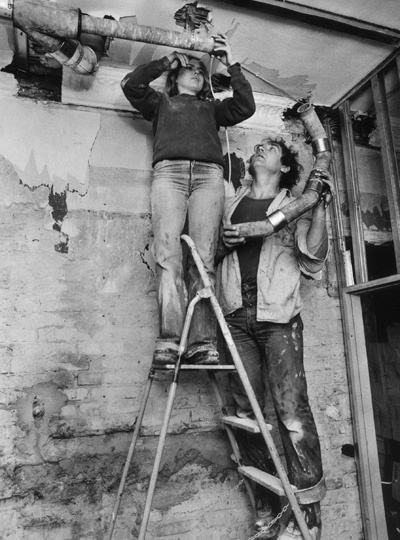 At the end of the 1970s, the project “Education-Works Kreuzberg” was initiated in Kreuzberg, a West Berlin neighborhood with a high rate of social problems. The project gave unemployed youths the chance to acquire occupational training while undertaking renovation work on dilapidated houses. For example, they could train to become electricians, gas-fitters, or plumbers, or they could also complete an additional apprenticeship. Financed through public funds, this project was a preventive measure in labor market policy at the community level.